Doris has played 8 times. All 5 starts at 8. It's time we saw Doris at 6, preferably a few times with Deegan at 8. Deegan is getting plenty of game time this season. People calling for him to move have alternative motivations. Wouldn't disagree either however were I the coach and recognizing Deegans need to be more physical I would have played him at 6 as has been done and I don't think that bit of coaching is done with just yet. Makes sense to me, but I think people generally here think Deegan having skills that few forwards possess is a weakness. He is doing all the graft as well. When it came to the Heineken Cup matches against Toulouse and Wasps Leo slected him in the 23, not Doris, and he played a major part in creating the 3rd try. We, myself included, need to get past Deegan winning u20 player of the year. JJ Hanrahan almost won that award. Macken was supposed to be better than BOD, Conway scored a record number of tries. Bleyandaal was also a runner up. James Chisholm won the year before Deegan. It was strange anyway that Deegan won ahead of Malinder. Deegan is a good player and while he's skillful, he's not some offloading magician contorting himself into impossible positions and scoring drop goals from halfway. He's an all rounder with good footwork and timing on both sides of the ball. He is good in lineout, strong, tackles with great technique, has the skills to player higher risk and the discipline not to indulge himself just to get on the highlights reel. He gets back on his feet quickly and back into the line but not necessarily around the corner. He's been increasing his physicality over recent seasons. 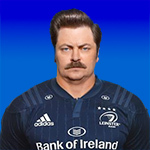 He's adaptable in a Heaslip way, so he should be able to help balance a backrow. If he was a strong carrier closer to the ruck he would be better at balancing. But that doesnt have to come from a 6 either. Lancaster is an innovative coach. It's conceivable that he wants to redefine the role of the back row in general but more specifically the 6. Doris is a 86 already whereas Deegan is an 8. 86 - the skills and technical nous of an 8 allied to the physicality of a 6. 87 - the skills and technical nous if an 8 with some of the physicality of a 6. Expect the experiment to continue. Nevermind Mallinder, it was a bit odd that he got the award ahead of James Ryan. cormac wrote: Nevermind Mallinder, it was a bit odd that he got the award ahead of James Ryan. James Ryan was so far ahead that he was out of sight. Who starts at openside against Zebre if Penny's with the U20s and Leavy's still unavailable? Deegan? Or could Aspil be a live contender if he's been training with the squad? leinsterforever wrote: Who starts at openside against Zebre if Penny's with the U20s and Leavy's still unavailable? Deegan? Or could Aspil be a live contender if he's been training with the squad? Oldschool wrote: Lancaster is an innovative coach. Lancaster never struck me as a positional experimenter. More about develop what you have rather than turn it into something else. Not the Eddie Jones idea of 9 forwards or half of Woodwards career. You have to wonder at the state of Munsters academy and it's ability to develop players from Munster? Connaught develop more young players than Munster and have done so for several years. maybe David should try to sort that out for the betterment of Irish Rugby. Constantly raiding the players just about there in Leinster is not good for Linster. Stories from the southern province are a little disturbing of you are hell bent on developing the best players from Munster. Leinster are an injury away from having real problems in Europe. Sextons injury and wrapping Byrnes in cotton wool just suggests Leinster European ambitions to compete are being sacrificed for the short and long tem interest of Munster. One might even suggest the non selection of Ross by JS was a fop to quiten the noise that might develop if Leinster was left with very inexperienced out half cover for the international window. The truth is three teams are developing talent one team is Not. Andrew097 wrote: You have to wonder at the state of Munsters academy and it's ability to develop players from Munster? Connaught develop more young players than Munster and have done so for several years. maybe David should try to sort that out for the betterment of Irish Rugby. Constantly raiding the players just about there in Leinster is not good for Linster. Stories from the southern province are a little disturbing of you are hell bent on developing the best players from Munster. Not really the thread for it, in the IRFU's eyes Munster are developing talent with Joey at 10. Backrow is an area where there have been media murmorings of taking more Leindter players. I think that's how the topic got sorta there. Leinster dont have excessive depth at backrow and won't either given that there is only 1 backrow in the entire Academy. Sean O'Brien off to London Irish for £450k a year apparently. If true, while it will be sad to lose a Leinster legend, you wouldn't begrudge him. Averaging 5-7 games per season for us. Great man in his day but he's been a National and Lions player for 4 years. I wish people would understand that Connacht is the province, and Connaught is the hotel (amongst other things). I'm Leinster; but spent many happy years in Galway. desperado wrote: I wish people would understand that Connacht is the province, and Connaught is the hotel (amongst other things). 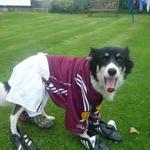 I'm Leinster; but spent many happy years in Galway. It says "sources in Ireland", not the IRFU, and says that the IRFU wouldn't comment on it. Not saying it's not happening, but things like that bug me! I'd trust Murray Kinsella though. Also, it makes total sense. He is not going to get a central contract in November, and Leinster won't be able to offer him that money (even if Redact stumps up again, you would think).